Cameron’s a very motivated and focused learner. He likes having his weekly checklist and checking off each day’s work. It’s been such a delight watching him become more and more independent this year. We are continuing with CLE Math for Cameron this year. 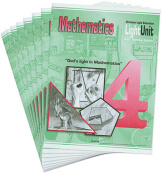 His very favorite subject is math, and he has really excelled using this curriculum. Last year, with his 3rd grade math, he completed it independently other than checking and corrections. 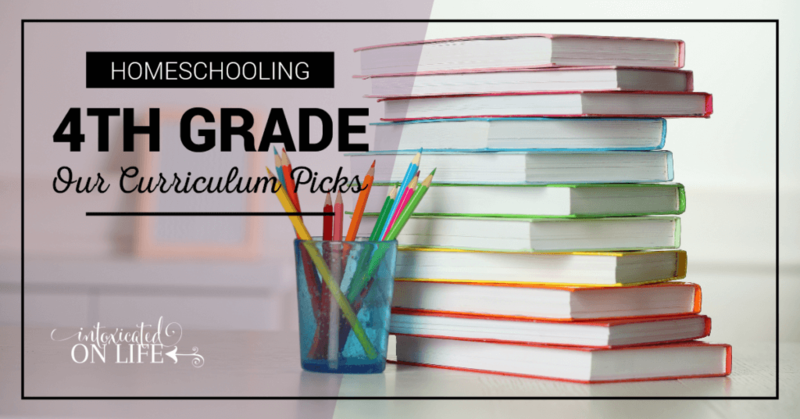 We’ve found this math curriculum to be both very robust and a good fit for him as we work towards greater academic independence. This will be our second year of using Fix It with Cameron. 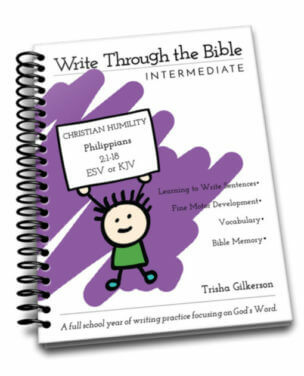 We appreciate this curriculum from The Institute for Excellence in Writing because it offers a nice balance of learning the parts of speech and practical application of grammar. If you’ve never heard of Fix It, it’s a unique curriculum where students work through a whole book throughout the school year. This year Cameron will be working through Robin Hood. Each week they have a short passage they use, to learn how to identify parts of speech, finding and correcting errors, and more. Second grade was a complete and utter disaster when it came to Spelling. Cameron and I were both desperate for something new. Something that worked. Something that didn’t end in tears. I had seen All About Spelling before, but I was skeptical. It looked so intimidating with all of the pieces and parts. But I decided to give it a whirl since I’d heard such great things about it. What did I have to lose? They have a year-long money-back-guarantee. We tried it. We loved it. Cameron even decided spelling this way was fun. Last year, we completed both Level 1 and 2 of All About Spelling and could have finished probably half of 3, but I decided to end early. 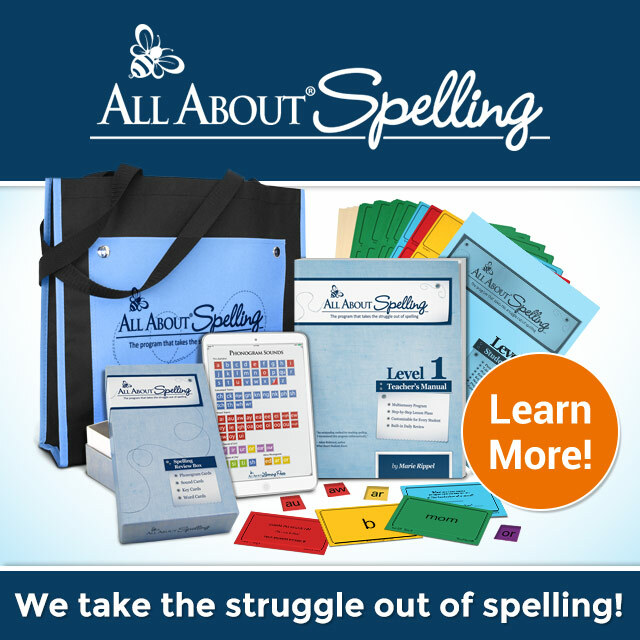 We’ll hit the ground running with Level 3 of All About Spelling next year. Once we finish level 3, he’ll move on to Phonetic Zoo—that’s a link to my review of Phonetic Zoo—which is a primarily independent learning curriculum. This will be year 2 for Cameron using Institute for Excellence in Writing’s composition program. We’ll be using their Fables, Myths, and Fairy Tales which pulls material from classic children’s literature. 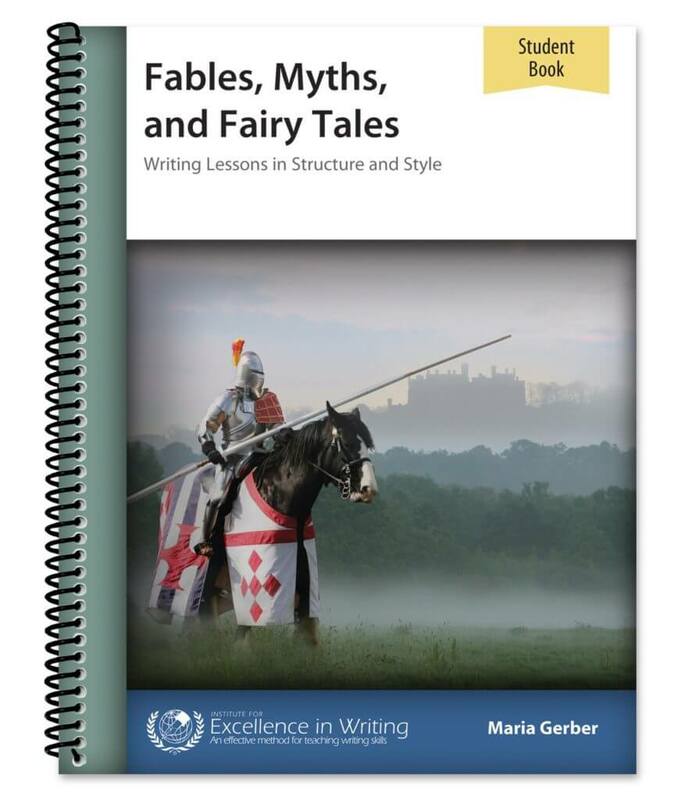 While Cameron tends to be what I’d call a reluctant writer, the Teaching Writing: Structure and Style method has been an effective way to help him learn how to compose his own papers through the use of note-taking, checklists, and a clear and direct approach to structuring his thoughts. Last year, learning cursive was on the docket…but it got dropped. 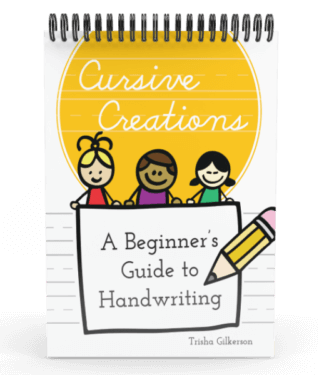 This year, I’ve finally written a teaching cursive book to go along with our Write Through the Bible handwriting curriculum that will be released later this summer. So you better bet we’ll be learning cursive. In fact, learning cursive will be first up this year. 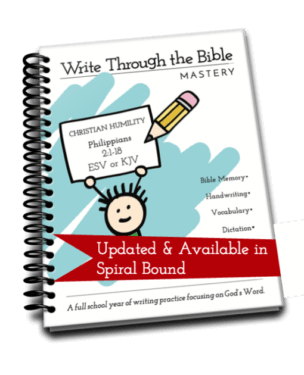 Cameron will spend the first couple of months this year learning cursive, then he’ll move into Write through the Bible Intermediate and spend the rest of the year there. 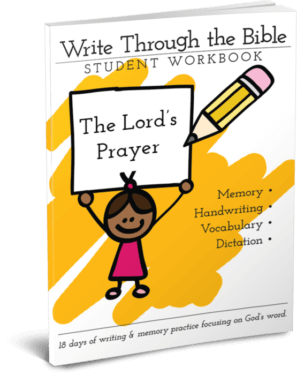 Our family is memorizing the 10 Commandments together this year, so we’ll be using that version of Write Through the Bible Intermediate. 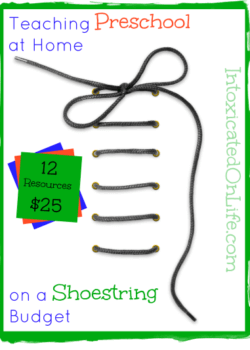 This is a curriculum series I began to develop several years ago. 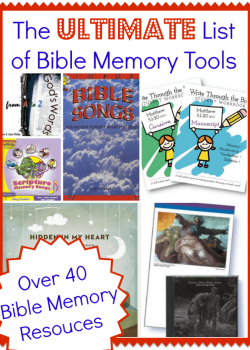 It integrates not just handwriting and Bible memory, but also fine motor development and vocabulary too. 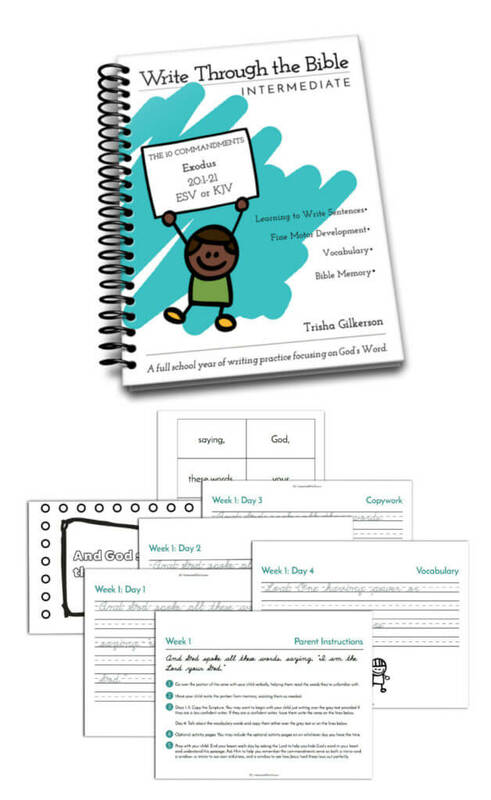 If you’re a busy mom like me, curriculum that multi-tasks is a must-have. We continue to be impressed with how well done the Veritas Press self-paced courses are! We like to be sure our kids are spending lots and lots of time reading in these elementary years so they become strong readers. This has really paid off for our oldest son, Bradley, as he is now in Jr. High and working through a lot of large and difficult books. This year, Cameron will be reading the following books and completing the accompanying comprehension guides that Veritas Press offers. 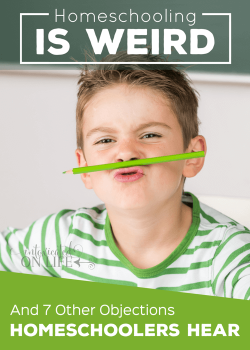 Most of the questions in the comprehension guides we complete orally in order to help move through more quickly, but there’s some fun activities that he enjoys doing included in each of the guides too! His art class will introduce him to classical artists while doing hands on projects. He’ll learn about composers throughout history while learning new songs in his music class. His science class will introduce him to bugs of all kinds. He’ll learn about how their body works and get to play active games in his PE class. He’ll also have classes that will give him a gentle introduction to Latin and Geography. Whew! It’s going to be a busy but fun year. We’re looking forward to it. What subjects are your “stuck” on figuring out? 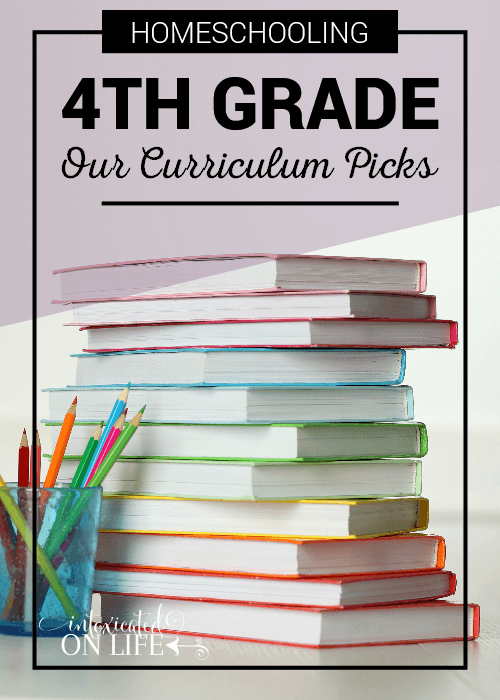 Do you have any new curricula you’re trying out this year you’re excited about? We are starting the Veritas self-paced OT and Ancient Egypt this year with my 1st grader. I think having an online component will really be something he enjoys. Both of our two oldest boys have really loved the History (and Bible) programs! They’re so well done. Can anyone give me any ideas for a science curriculum for my 5th grader? Why do you plan to switch from All About Spelling at Level 3 and go to Phonetics Zoo? Because it is more independent? We are just starting AAS in 4th grade and 5th grade…. And we are starting Astronomy as soon as it’s out! 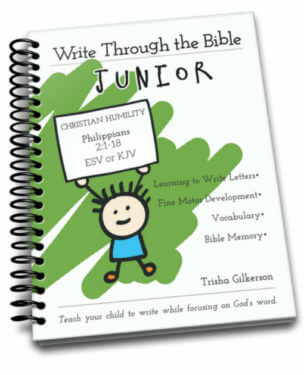 And starting Writing Through The Bible this year too! Yay! Hey Karen, Sorry for the delay in responding to your comment! I have used Phonetic Zoo with my older son and it’s been a great program for him. I actually came to my decision to try AAS because I talked to the people at the IEW booth at a conference and asked them what to do BEFORE we started Phonetic Zoo. They recommended the first 3 levels of AAS. We could certainly stick with it, but I work towards getting my kids to work independently as soon as I can and Phonetic Zoo is a *nearly* completely independent program. What is the difference between the writing intensive a and the IEW composition course you mentioned? I didn’t realize they had multiple writing courses and the intensive looks overwhelming. 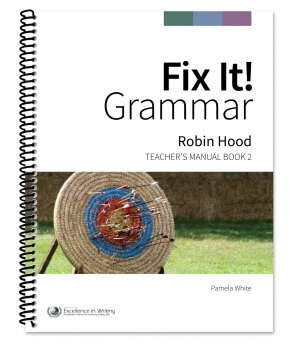 We are trying out fix it grammar this year for 4th grade.